Sometimes you just want to make something that is quick and easy. Fast to the table but still healthy full of delightful flavors. My quick and easy Kaleslaw is a family favorite that I can get on the table without any fuss or bother. What I love about this dish is that you can change it up to fit what you have in your pantry or to your personal taste. Don’t want to use Chinese noodles, then use unsalted, shelled roasted sunflower or pumpkin seeds. Want to add snow peas to the blend, go right ahead. Experiment with different taste and textures. I like to make this differently each time! 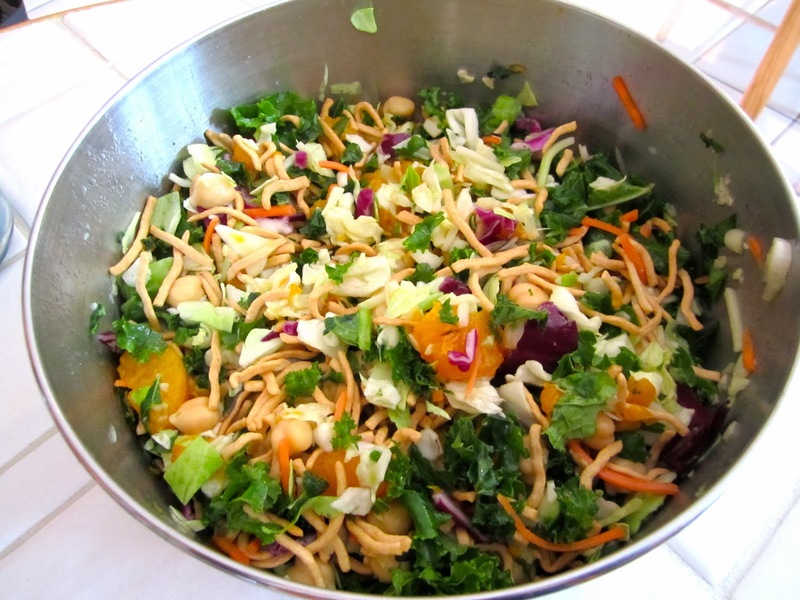 In a large bowl combine kale, coleslaw, green onions, parsley, mandarin oranges and garbanzos beans. Set aside. Combine reserved light syrup, olive oil, garlic, salt and pepper. Shake well. Pour over coleslaw. Toss with Chinese noodles or seeds. Chill before serving.